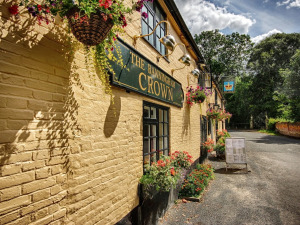 Banningham Crown01263 733534work Public HouseA traditional 17th Century timbered inn. Log fires warm the pub during the winter months and the sheltered patios and gardens provide a great place to dine al fresco during the summer. We also serve 5 Real Ales. Full a la carte menu using local ingredients. Bar snacks and Sunday roasts. Famous for our steak and kidney puddings and fresh fish a speciality. A traditional 17th Century timbered inn. Log fires warm the pub during the winter months and the sheltered patios and gardens provide a great place to dine al fresco during the summer. We also serve 5 Real Ales. We are in The Good Pub Guide 2019 and have Cask Marque Accreditation. Main course from £11.95. Snacks from £5.95.